How is wine made, you ask? Well we will tell you! Wine making is an art that originated centuries, or millennia, ago. Surprisingly, most of the basics are taken care of by nature as naturally occurring yeast will go to work on any sugary liquid to convert it to alcohol. Today's techniques are still quite similar to those ancient beginnings in many respects. The winemaker's art is to help along the natural process or growing grapes and promoting fermentation without interfering too much with the natural flavors and complexities that are naturally in the wine. Here we will give you an introduction into the basics of the question "How is wine made? ", including a few specific notes on sparkling wines, fortified wines and dessert wines. If you are really lucky we may just tell you a bit about how spirits like brandy, vodka and whisky are made as well! How is Wine Made: Growing the Grapes: Obviously, wine is made from grapes, so the first step in the process is to grow good grapes. This may seem obvious and simple, but most great winemakers will tell you that this is by far the most important and difficult step in the whole process! Having great raw ingredients, the grapes, gives you the opportunity to make great wine. So how is wine made from great grapes? Well to get great grapes, first and foremost, you need a good vineyard. How is Wine Made: The Vineyard: There are many things that go into making a particular plot of land good for making wine, but around the world there are certain areas that just seem built for the purpose. Something about their soil, the bedrock, the exposure and drainage makes them unique and perfectly suited to growing grapes. The French call this a great terroir (pronounced something like "ter-war"). The grapes grown in these areas is more unique and full of character. For example, while you may be able to grow grapes on your lawn, you will never make a wine as good as that made from grapes grown in Burgundy's fabled Romanée-Conti vineyard. So to start, you need a great cru or growth. The vineyards also have to be maintained exquisitely to keep the vines healthy, trained appropriately and to prune and limit yields (see below). How is Wine Made: Old Vines: Second, you need well-established vines. Young vines do not produce well and tend to lead to insipid wines. As vines get older, their roots reach deeper toward the bedrock and they tend to concentrate the grapes, making for richer, more complex flavors. You often see good bottlings labeled "Old Vines" or vieilles vignes in French. How is Wine Made: Good Grape Varietals: There are hundreds of different grape varietals grown around the world, but they are not all created equally! Besides varying in flavors and characteristics, there are some that are considered more "noble" than others, capable of producing truly great wines. While a grape like Cabernet Sauvignon, Pinot Noir, Chardonnay and Riesling are considered noble, at the pinnacle of grape varietals and capable of producing the best wines in the world, other varietals never make more than just decent wines. There are hundreds of examples. Often these other grapes are used for blending or for lesser everyday table wines which are not meant to be "monumental". How is Wine Made: Low Yields: When grape vines overproduce, they lead to diluted grapes with less sugar and less concentration of flavor. Keeping the yields low, by using old vines, by pruning and dropping fruit so that each vine only produces a limited, small number of bunches and other methods, helps to ensure that the vine pushes all its effort and nutrients into those few grapes, producing richer, more mature and complex grapes. How is Wine Made: Physiological Ripeness: Only when grapes are perfectly ripe will they make great wine. Too early and there is not enough sugar and there may be "green" unripe flavors and harsh tannins and acidity. Too over-ripe and the acid and structure is gone and all you have is jammy, sweet fruit without any balance. The perfectly mature grape has a balance of everything, ripe tannins, ripe fruit, good acid balance and complex, dense flavors. Picking at just the right time can make or break a vintage. Generally, wine makers wait as long as they can but often decide to pick to avoid rains from coming and diluting their grapes. How is Wine Made: Harvesting the Grapes: After the decision is made that the grapes in a given vineyard are ripe, they are harvested. This can take many forms from the traditional hand picking to machine harvesting. Generally, hand picking is the best way to ensure that grapes are healthy and not damaged. Also, hand picking and sorting of the grapes helps to ensure that only the best grapes are used in the wine, discarding unripe, unhealthy or otherwise unfit grapes. 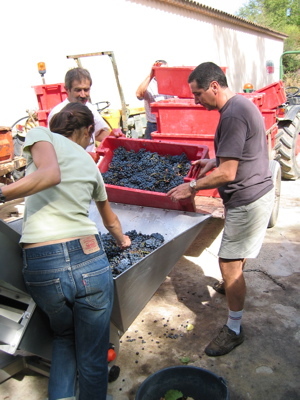 The best wine making teams are meticulous about sorting out only the best looking grape bunches. How is Wine Made: Fermentation: After sorting, grapes are usually either partially or completely de-stemmed. They are then usually slightly pressed, although not always. They then are placed in large vessels to undergo fermentation. This can be done in large open oak barrels, in stainless steel fermenters or even in concrete vats. Sometimes wine yeasts are added, but often just the native yeasts occurring in the vineyards are left to do their work. Over several days they will start growing and they will consume the sugar in the grapes, converting it to alcohol (ethanol or ethyl alcohol) and carbon dioxide (which comes out as gas bubbles). During this process the fermenting grapes' temperature is usually controlled somewhat and the grapes on top that rise to the surface are occasionally "punched down". Alternatively, juice from the bottom of the vat is pumped over the top. Eventually, for dry table wines, all the sugar is converted by the yeast to alcohol and the fermentation slows and eventually stops. How is Wine Made: Aging: After fermentation most wines undergo some type of aging prior to bottling. For very fresh wines that are meant to be drunk right away, such as Beaujolais Nouveau, this still can be skipped, but for more serious wines with more depth and complexity, aging helps them develop more complexity, synthesize better into a balanced whole and to round out its edges, leading to a more complete wine. This aging can be done in many ways, the most common probably being aging in oak casks. The type of oak used, the size of the barrels, the age of the barrels and the amount of charring of the oak can influence the effect this has on flavor tremendously. New oak, with higher char and smaller barrels can all lead a very toasty, oaky aroma and flavor to the wine, while larger, older, and less charred oak barrels just let the wine age without as much oak flavor influence. This is the choice of the winemaker depending on the style he or she is shooting for. Other options for aging include aging in stainless steel or other types of containers that don't add any of their own flavor to the wine like oak does, but lets the wine react with itself and/or with oxygen. 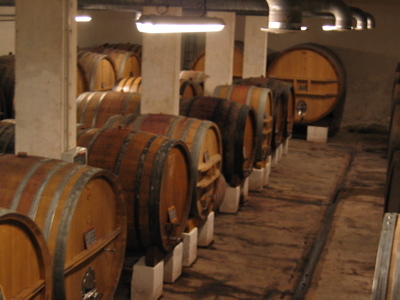 During the aging process, the winemaker generally tastes the wine occasionally to determine when the wine is ready to bottle. How is Wine Made: Secondary, or Malolactic, Fermentation: Many wines undergo a second type of fermentation during their aging process. This is called a malolactic fermentation because malic acid which was in the grapes is converted to lactic acid. Malic acid tends to have a bit more harsh bite to it while lactic acid (in milk, as the name implies) has a rounder, more creamy feel and texture. How is Wine Made: Bottling: After aging, when the wine is deemed ready to bottle, the wine which was in aging containers is then bottled, being closed either with the traditional cork closure or one of the newer methods like a screwcap or synthetic cork closure. At the time of bottling the wine maker also has to decide if the wine is to be fined or filtered. Many of the worlds wine critics and writers demand that excessive fining and filtering strips a wine of its nuances, complexity and depth. Why then do people filter their wines? The process leads to a clear wine without sediment or particulate matter in it. They don't want people viewing their wine as flawed or dirty. However, just the opposite is true. In our opinion a wine which is excessively filtered is flawed, stripped of its natural life and unique flavors. Most winemakers only use a very subtle fining and filtration now but try to avoid wines which are completely filtered. Some sediment in a wine is a sign it has not been tampered with and is a natural, living wine, much more capable of aging and bringing you all that it has to offer. Fining: Fining is a process to remove particulate matter in the wine prior to bottling. There are many ways to do this but one of the most common is with egg whites which bind up the particles and then drop to the bottom. The rest of the wine is then decanted off the finings on the bottom. Filtering: Filtering is literally pushing the wine through a sterile filter prior to bottling. This, even more than fining, removes more than just the particulate matter. It can remove quite a bit from a wine in fact and unless done very gently can completely strip a wine of much of its color, depth, aromas and flavor complexity. How is Wine Made: Bottle Aging: Finally, after bottling, wine is often aged in bottle for some period of time before being distributed and sold. This additional time aging allows the wine to settle down after all it has been through in the bottling process and to get used to its new surroundings, in a sense. How long these aging steps take depends much on the type of wine, the grape varietal and the style of wine being made. Additionally, after sale, many wines can continue to improve in bottle for months, years, decades or even centuries! This extended bottle aging is not for every wine, but can lead to a wine which is more complex and integrated for those wines that are build to age a long time. To learn more about aging wine, see our Aging Wine and Wine Storage pages. How is wine made with bubbles? Champagne and other sparkling wines are a unique example of wine making. 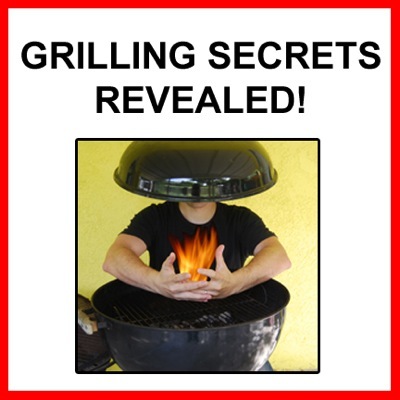 While the general process is the same through the aging process, a few extra steps are added. First a still base wine is made. After aging, that base wine is bottled with an addition of sugar and yeast to the bottle and capped. This leads to a second fermentation in the bottle. The sugar is converted to alcohol and carbon dioxide gas. However, because it is sealed in the bottle, this gas that is produced is dissolved into the liquid and cause the wine to be carbonated. After a certain period of time, the bottle is then riddled, meaning that it is slowly turned and moved into an upright position so that the yeast sediment slowly collects in the neck of the bottle. The neck is then frozen and the cap is removed. The pressure pushes out the ice that contains the yeast sediment and it is quickly topped up with more wine and corked with a high-pressure cork and wire cage to keep the rest of the carbonation in the bottle. You now have a naturally sparkling wine in bottle without any yeast sediment which can then be aged additionally if desired. This process of secondary fermentation in bottle followed by riddling and disgorgement (the process of expelling the yeast from the bottle and re-corking) is considered the "Methode Champenoise" or "Methode Traditionelle" and is used for the production of many types of sparkling wines the world over. Fortified wines are wines that have a grape spirit (un-aged brandy) added to the wine during fermentation. This process halts fermentation by raising the alcohol level and thus causing the yeast to become inactive. This is done for various reasons. Traditionally, it was done to strengthen wines so that they kept better, particularly for long transportation. However, the process also results in some residual sugar being in the wine since it stops fermentation in the middle. The amount of residual sugar depends on when the spirit is added. Generally, fortified wines have considerably higher alcohol due to the addition of the spirit (16 to 20% alcohol by volume). The process of fortifying wines is used in several types of wines, collectively known as fortified wines. The most famous are Port and Sherry. Port is generally a red wine made in Portugal's Douro Valley which is fortified early so that there is considerable residual sugar and the wines are quite sweet dessert wines. Sherry varies from dry to very sweet depending on the style. Other wines that are made in this method include Madeira, Marsala, Banyuls and Maury. How is wine made sweet? Dessert wines are generally very sweet wines, varying from slightly sweet to almost honey-like super-sweetness depending on the style. While fortified wines (above) are one technique for halting fermentation and producing a sweet wine, not all dessert wines are made by this technique. Some simply start with a higher sugar level in the grapes so that when fermentation ceases there is naturally still residual sugar in the wine. This can be accomplished by using yeasts that are not as alcohol tolerant so that they will become inactive once the alcohol level raises to a certain point, leaving sugar in the finished wine. Noble Rot or Botrytis Cinerea: One unique way in which dessert wines is made is by allowing grapes to become infected with a special beneficial fungus called Botrytis or also known as Noble Rot. Rather than destroying the grapes, this fungus, which infects the skins of the grapes, causes the grapes to loose water and become dehydrated, basically becoming a raisin on the vine. This has the effect of concentrating the sugars and flavors so that the final grapes are very high in sugar and will result in a very sweet wine. The botrytis also lends a particular, unique aroma and flavor to the wine. While this process is most famously associated with the production of Sauternes, it is used in many wines such as German Beerenauslese and Trockenbeerenauslese and Alsatian Sélection de Grains Noble. The most concentrated of these wines is made by hand picking individual berries, just keeping the ones most affected by the Noble Rot fungus. Some vintages are better suited to the development of this rot than others. Ice Wine: Ice wine is another technique used to make dessert wines. In some regions that get very cold, the grapes are allowed to hang on the vine late into the season until a frost occurs. The grapes actually freeze and then are quickly picked! The frozen grapes are then crushed and the ice crystals are filtered out, leaving a very concentrated juice that is high in sugar. While traditionally this is done naturally, as in German Eiswein, other regions create this type of wine by artificially freezing the grapes after picking. Air Drying: One other method of making concentrated dessert wines is by air drying the grapes after picking. This creates a similar effect to Noble Rot or freezing, in affect making the grapes into concentrated raisins with a high sugar content. These are then pressed. Some dry wines are made this way, such as Sforzato and Amarone in Italy. Dessert wines are also made by this method such as Recioto in Italy and Vin de Paille in France. Spirits are not wine. However, we thought we'd throw in the basics of how they are produced here. All spirits start with a fermented beverage. This can be fermented grapes (basically wine), as in brandies such as Cognac and Armagnac, fermented grains, as in whiskies like Bourbon and Scotch, fermented potatoes, as in some vodkas, fermented agave, such as in Tequila and Mezcal, or other fermented things. This initial fermentation is then followed by what is called distillation. This process boils the liquid and then re-collects the condensate of the gas that is boiled away. Because alcohol is more volatile than water, this process allows you to concentrate the alcohol, resulting in a liquid which is a much higher concentration of alcohol. In the process, much of the water is removed. This can take an initially low alcohol produced (5-10%) up to a concentrated 40% alcohol or even much higher. The product, the distillate, is then either bottled or aged for a period of time before bottling. In the case of clear spirits like vodka and silver (blanco) tequilas, there is no aging. The darker spirits like Scotch and Cognac are aged in oak barrels for extended periods of time, even decades! As they age they mellow out and become more complex. Once in bottle, spirits do not change with age as wines do. They will keep in bottle, even after opening for years. We hope this all helps to answer "How is Wine Made?" adequately for you! 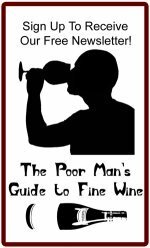 Done with the How is Wine Made page?